Business motivation model (BMM) is an enterprise architecture tool that helps develop and manage business plans. Business motivation model helps in the identification of factors, which motivate the establishment of the business plans. 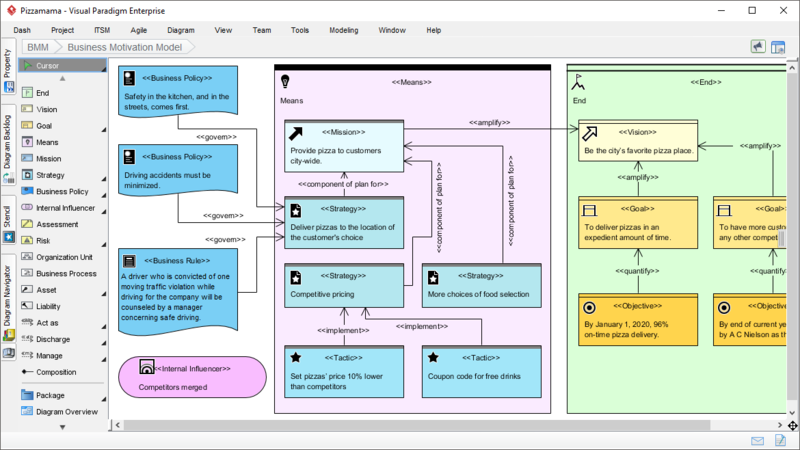 It also provides a graphical representation of the business plans and shows how the factors are related with the business plans.